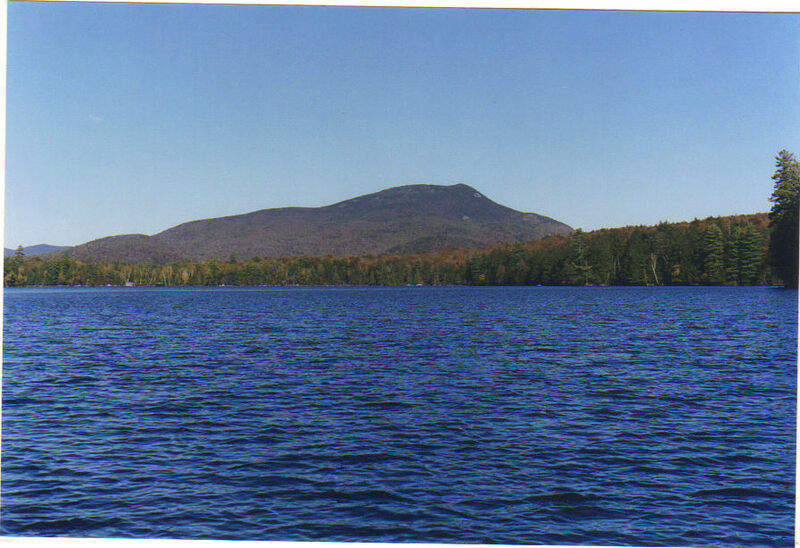 We have 11 cottages for rent May thru October all on Blue Mountain LAke in the beautiful Adirondacks. This prestine lake is unspoiled and its beauty brings famlies back year after year since the late 1800's. 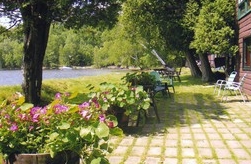 Loaded with activities for all tastes our little slice of summer paradise is the perfect Adirondack lakefront vacation. Kitchen-Living room area with fireplace with single bed-sofa. One bedroom with double bed and bath with shower. 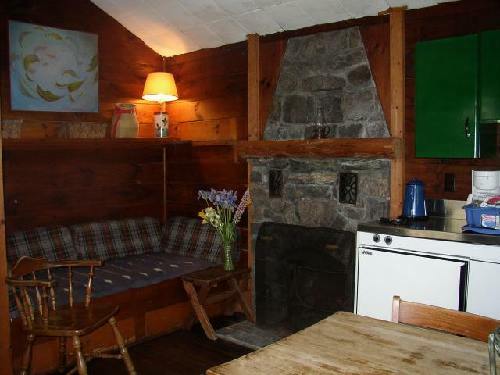 These charming lakefront cottages have a magnificent view of the surrounding mountains and lake, knotty pine walls, wool braided rugs and hand quilted quilts. Living rooms, bedrooms, kitchens and baths all equipped with everything you need for a relaxing vacation. Fireplaces, large picture windows, cable TV, lakefront porches and decks that extend to the water's edge. There are private docks, sand beaches and large lawn area with outdoor grill and firering. LaPrairie's Lakefront Cottages are located on the shore of Blue Mountain Lake in Blue Mountain Lake, New York. This location was originally the terminus and landing for the steamboats that cruised up and down the lakes bringing in passengers and freight to the big hotels that existed in the area in the 1880's. 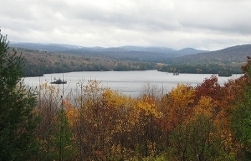 The beauty of the Adirondacks has attracted visitors since the early nineteenth century; between 1880 and 1920 Blue Mountain Lake and its hamlet was among the most fashionable destinations in the northeastern states. Blue Mountain Outfitters (BMO), located on the premises offers kayaks, canoes and guideboats, both for sale or rental. Stop in while you are here and let their knowledgeable staff help you out with kayaking instruction or planning some great outdoor adventures right outside your door. They will provide you with all the information you need about canoeing, hiking and fishing in the Adirondacks. BMO's retail store offers everything you need for your outdoor activities from guidebooks, Adirondack crafts, outdoor clothing and gear. Linens and towels are supplied. No maid service. Occupancy is not to exceed the maximum number for each cottage, including children. Fireplaces in the Main Lodge use fire logs only...No real wood. Personal checks or cash accepted for payment. Daily rates are for 2 people. Add $20 per night for each additional person. Weekly rentals require a 50% deposit for confirmation. For stays less than one week, the full amount is due. All reservations are firm. No refunds.